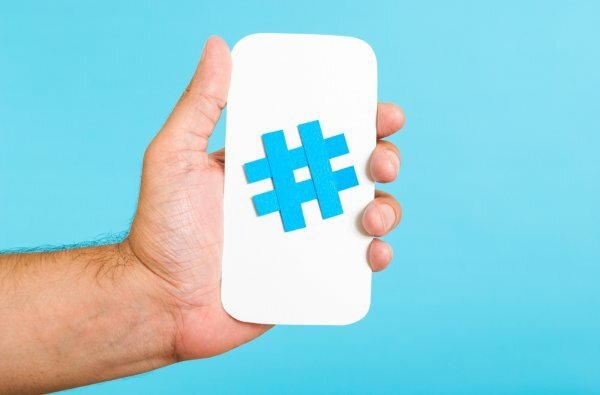 Despite the rumors that Twitter might be changing the way hashtags work, the little pound signs continue to be one of the core features of Twitter – and one of the most frustrating for businesses to implement. Hashtags can improve the reach of your content, and get it in front of the right audience. They can help promote an event, sell a product or even augment a TV show. Here are seven common mistakes that businesses and individuals make when using hashtags – so you can tweet and tag with confidence. 1. Not researching them thoroughly. Because hashtags can be created and used by anyone, it’s important that you know two things when creating a new hashtag: one, whether it is being used by another group; and two, if it is, whether you want to join in that existing conversation. When brainstorming a new hashtag, take five seconds and pop it into Twitter’s search bar. You’ll quickly see whether or not it is already in use, and if it is, what kind of conversation it is attracting. Then, you can either join in or start fresh with a new hashtag. 2. Making them too long, or too ugly. #thisisnotanattractivehashtag. Sorry if that gave you a bit of a headache. But it’s a good example of a bad hashtag. The best hashtags are short and sweet, and encapsulate the topic succinctly. They are not a pain to read, and they are visually appealing. Often brands will just go with the first hashtag that comes to mind when discussing a particular topic. But if you take a few minutes and develop alternatives, you just might come up with a shorter, catchier way to say the same thing. 3. Using too many in a single tweet. This account is clearly trying to sell shoes… but because they’ve decided to stuff as many hashtags into their tweet as possible, the “trying” really comes off as desperate. Hashtags can get your tweet in front of the right audience – anyone who loves #shoes, for instance – but it’s better to include only one or two per tweet rather than alienating any one community because you’re trying to target too many. 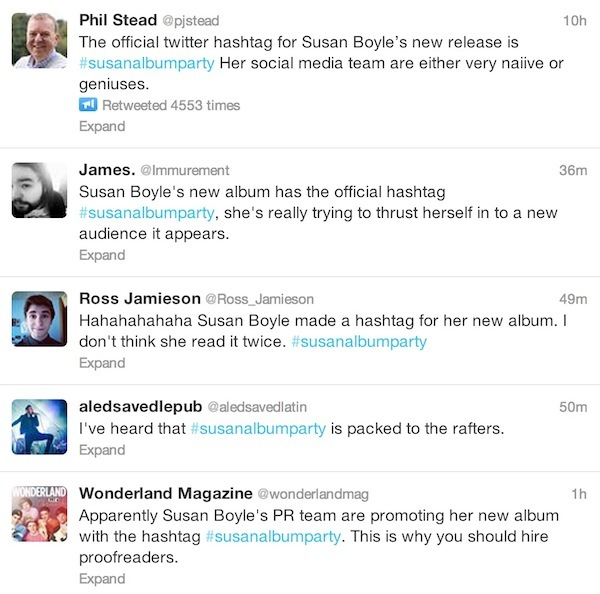 Like hashtag stuffing above, using the same hashtags over and over and over in tweets, on repeat, is a big no-no. If people click over to your profile and see that your latest 20+ tweets all contain the same hashtag, you’re bound to turn them off. Note: The exception to this rule is if you are participating in a hashtag chat, which requires using one hashtag in a short period of time (usually an hour) to live chat with a group. 5. Using spaces between words. #this is not a hashtag. #thisis. Remember that hashtags are only the characters directly following the “#” symbol, so if you have a space between your words, only the first word will be considered the hashtag. 6. Making them too difficult to understand. Acronyms, abbreviations and slang can work in hashtags, but only if you know your audience. For the most part, businesses should create a hashtag that is easy to understand, even by someone who is unfamiliar with the industry or topic. This will ensure a wider audience overall. 7. Not promoting your hashtag properly. One of the biggest mistakes businesses make when creating a hashtag is failing to let people know that the hashtag exists. It could be the best hashtag in the world, but if no one knows it’s there, what good is it? Hashtags can be promoted via Twitter and Facebook, and elsewhere on the web, but they can also be promoted offline. Think about including them in printed marketing material, signage in a storefront or at an event, or on a business card.